I recently discovered the artwork of Jasmine Becket-Griffith and was left speechless! 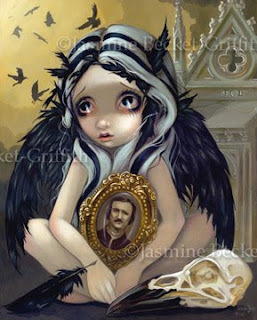 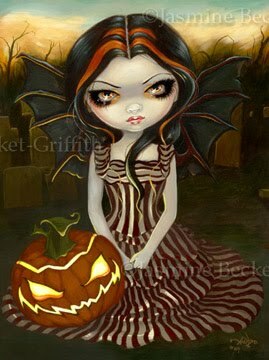 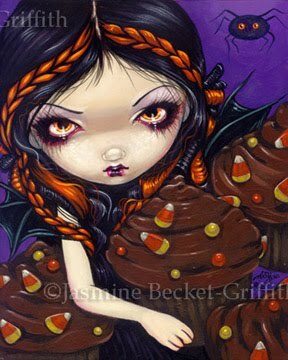 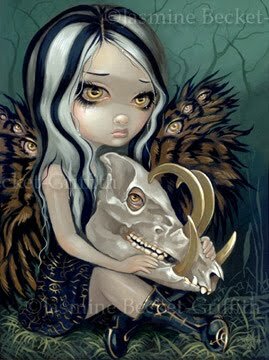 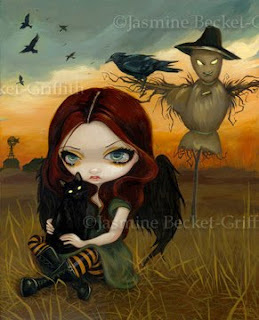 Her lowbrow pop surrealism style reminds me of a mix between the art of Mark Ryden and Lori Earley. However, her artwork still feels unique and confidently stands on its own. 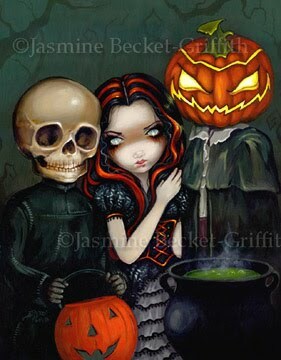 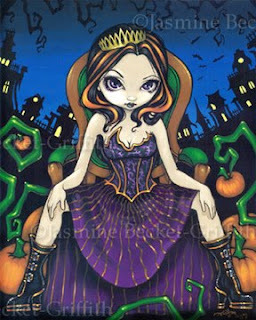 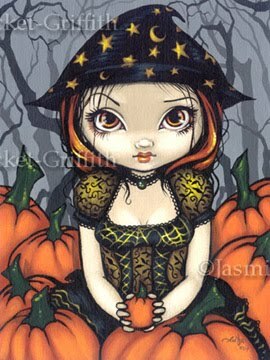 I was overjoyed to find that she has done some Halloween-themed paintings and thought I would share a few with you! 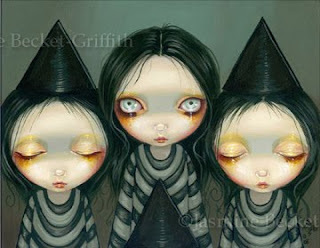 Links will lead you directly to the painting's product page. 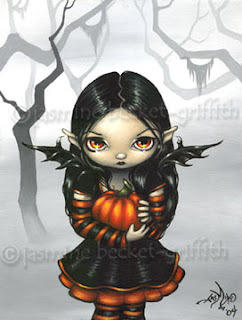 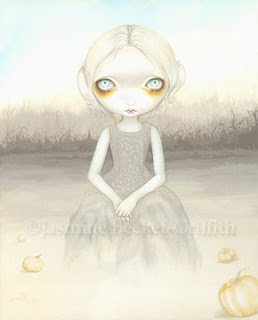 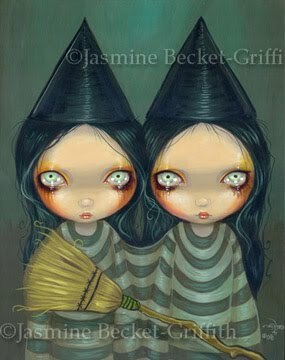 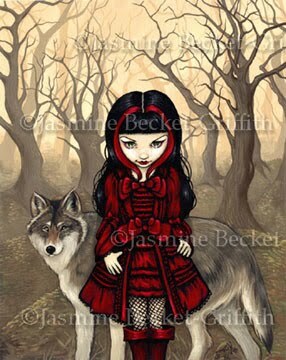 Please note, all images are copyright Jasmine Becket-Griffith. I like to call it the Steampunkin! 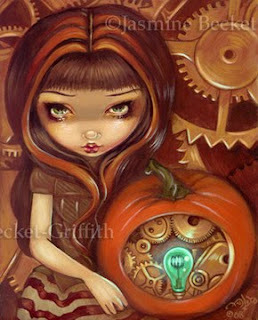 "Red Riding Hood in Autumn"
"Ghost of the Pumpkin Patch"
For more info on Jasmine and her wonderful creations, please visit www.strangeling.com!